Variant cover art for Ether #1 by Jeff Lemire. When you inadvertently become an inter-dimensional adventurer, you have to hope that the science behind your loopy situation is on your side. But what happens when you land in a reality where magic trumps science? 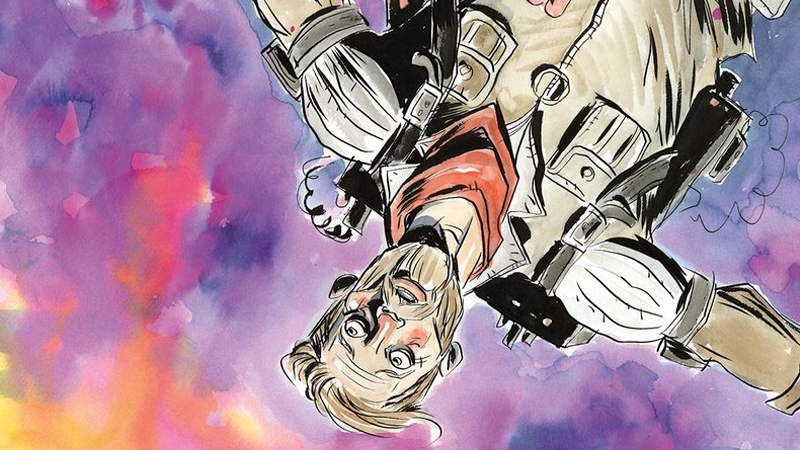 Well, in Matt Kindt and David Rubín’s Ether, the answer is simple: you solve some goddamn magic crimes. Dark Horse’s latest series, beginning next month, follows an explorer from Earth named Boone Dias who becomes a regular visitor to the supernatural realm of the Ether, a land filled with strange creatures and magical oddities. Boone’s predilection for science, as he tries to rationalize his trips across reality, makes him a unique asset to the citizens of Ether—he can use his science to find solutions to the magical crimes that have confounded the populace. Check out a few pages from issue one, making their debut here on io9, as well as David Rubín’s cover for the issue below! Ether #1 hits shelves on November 16th.